Last Friday was the International Day of the Girl. On December 19, 2011, the United Nations General Assembly adopted a Resolution to declare 11 October as the International Day of the Girl Child, to recognize girls’ rights and the unique challenges girls face around the world. There are several things we can do to help spread the word and contribute to the fight for girls’ rights. 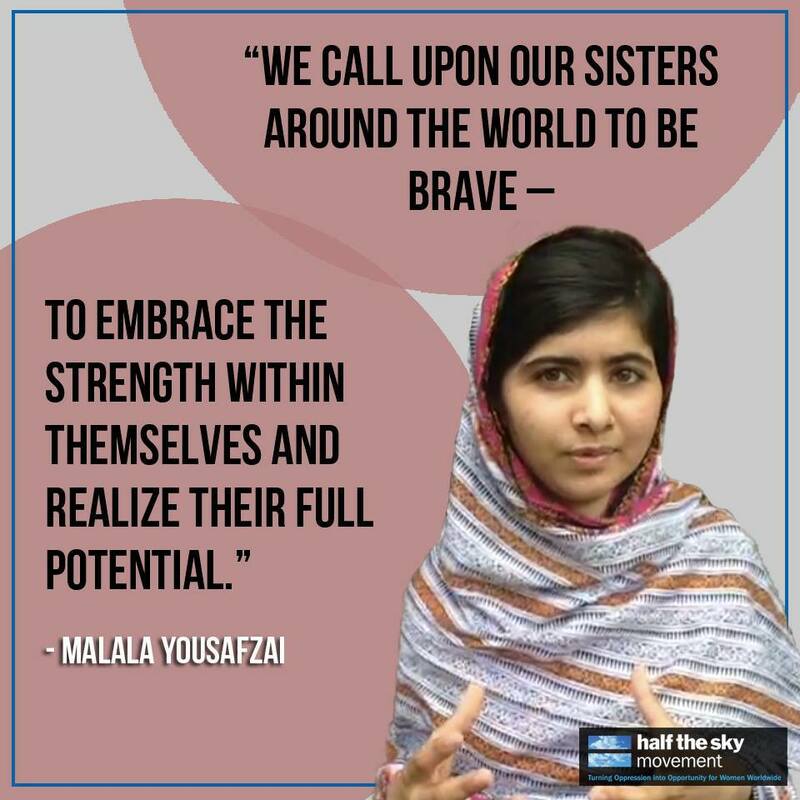 For example, we can support Malala! Do you remember her? She’s been in the news lately, because she has received a very important award, EU Human Rights Price. Her book, I am Malala, just came out and she’s just amazingly inspiring in general! Tweet #IamMalala and make her famous! Listen to her speech at the UN. She’s my hero!! Malala Yousafzai finally leaves hospital.The Pakistani schoolgirl shot in the head by the Taliban has been allowed to leave hospital. Luckily Malala is fully recovered now. It makes me really happy to see that she’s able to talk and has enough strenght to write a letter to say thank you to all the people who have been supporting her. We’ve been talking about Malala in class. Fortunately, she’s already safe and recovered from her injuries! She’s a very brave and courageous girl. Don’t you think? Did you know that now tens of thousands of people across the world have signed online petitions saying she should be a candidate to the Nobel Peace Prize? And click here if you want to sign the petition too! Ana Ortiz 1B on Happy Xmas!